A rainbow-headed snake, a dragon-like lizard and a newt that looks like a Klingon from Star Trek are just three of the 163 new species discovered in the Greater Mekong region in 2015. 2015 was another incredible year of discovery in the Greater Mekong. A rainbow-headed snake, a dragon-like lizard and a newt that looks like a Klingon from Star Trek were among the 163 new species that were found crawling in caves, flying through rainforest canopies and growing deep within remote jungles. In all, 9 amphibians, 11 fish, 14 reptiles, 126 plants and 3 mammals were described for the first time. Naturally, scientists flock to the Greater Mekong every year to study these incredible ecosystems and to hopefully make new discoveries. Between 1997 and 2015 there have been 2,409 new species described here,2 adding to the over 430 mammal species, 800 reptiles and amphibians, 1,200 birds, 1,100 fish and 20,000 plant species already known to science. With an average of two new species being identified every week3, there’s no telling what is waiting to be found. Even more direct threats to these species are poaching for bushmeat and the multi-billion dollar illegal wildlife trade. Hundreds of snares can be set in a single night in the region’s dense forests and they do not discriminate among species.8 Many collectors are willing to pay thousands of dollars for the rarest, most unique and endangered species. WWF’s most recent Living Planet Report found that by 2020, global populations of fish, birds, mammals, amphibians and reptiles could have declined by two thirds in just 50 years. The report shows how people are overpowering the planet for the first time in Earth’s history, threatening iconic species, including those in the Greater Mekong region, such as the Irrawaddy Dolphin and tiger.9The solutions proposed in the Living Planet Report echo the sentiments of the scientists who discovered these species: we must recognize the importance of global biodiversity and prioritize the protection of the ecosystems in which these threatened species live. These snakes, lizards and bats are more than just new species, they serve as reminders that there is still much left to be explored on our planet. 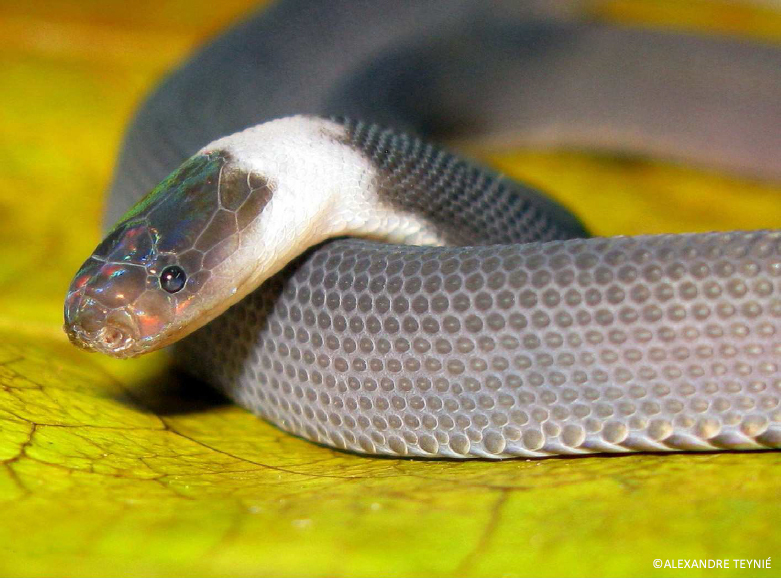 Alexandre Teynié, one of the discoverers of the snake species Parafimbrios lao, described the importance of these discoveries, saying “it is a small stepping stone to the living heritage of humanity. A small but bright spot for understanding the history of populations, the evolution of life, and a sense of humility before our ignorance.”10 If we are able to protect these vital landscapes and the biodiversity they hold, then we can ensure that generations to come will be able to make their own new discoveries and add to our collective understanding of the world around us. 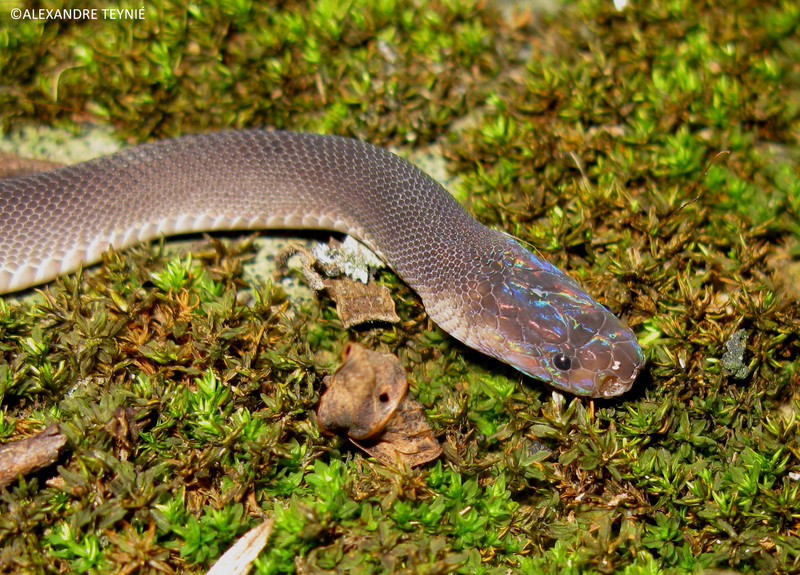 Rainbow-headed snake native to Laos that some at WWF have likened to David Bowie’s “Ziggy Stardust” character. 111th snake species recorded in the country. Distinct from close relatives because of the unique coloration pattern and different number of scale rows and upper teeth11. After studying the morphological characteristics of the snake, the team concluded that the closest relatives it could have are distant cousins in southern Laos, Vietnam, or China. Not only was this snake a new species, it was part of a whole new Genus: Parafimbrios. Having a species known only in one locality can mean trouble for its survival chances. “The locality of Parafimbrios lao is already undergoing significant changes and destruction,” says Teynié. These rare, small-range species highlight the necessity of protecting vulnerable land in the region. The island of Phuket, one of the most popular tourist destinations in Southeast Asia, is generally not an area frequented by researchers. “The reptile fauna of Phuket has been ignored for many years by biologists because most of the forest cover of the island has been destroyed by human activities,” says conservation biologist Olivier Pauwels. 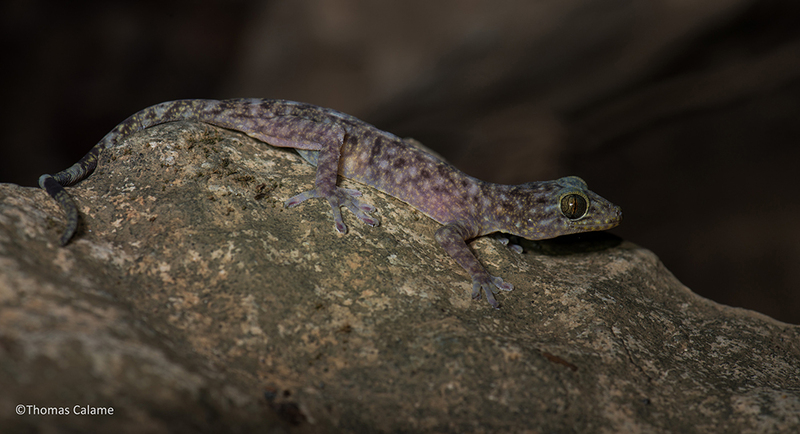 However, the discovery of a seemingly-endemic diminutive gecko in 2004 drew Pauwels and his research team into the few remaining forest patches on the island in search of the undiscovered. 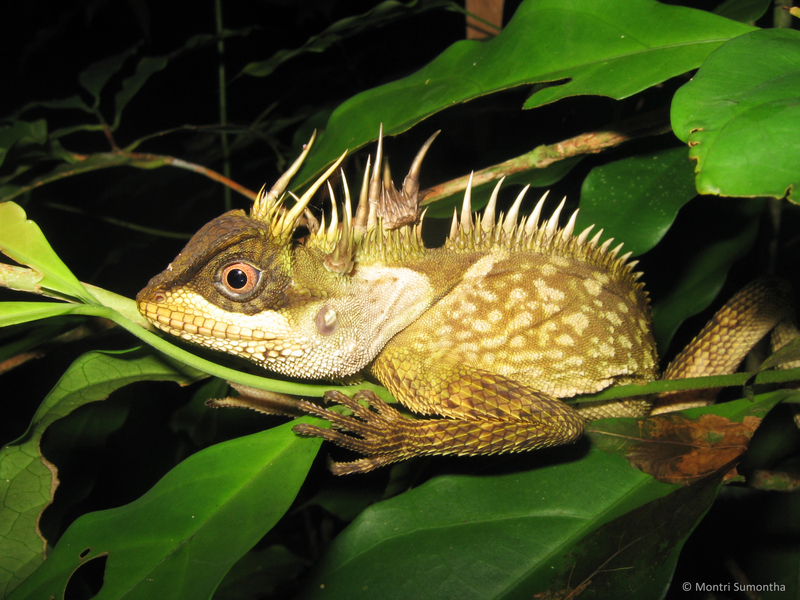 After two successful species discoveries of a tree viper in 2011 and a gecko in 2012, the team was thrilled to find Acanthosaura phuketensis, commonly known as the Phuket Horned Tree Agamid, hunting insects in a tree not far from their trail. Despite its long horns and crest giving it the appearance of a mini-dragon, it is completely harmless. Habitat loss is a major threat to the species; according to Pauwels it appears to not be able to survive in degraded forests or plantations. Because of its beauty, it is also under threat of being exploited for the pet trade. “Ensuring the future of this species means to offer protection of the last patches of primary and mature secondary forests in the region and to control its possible exploitation for the pet trade,” says Pauwels. 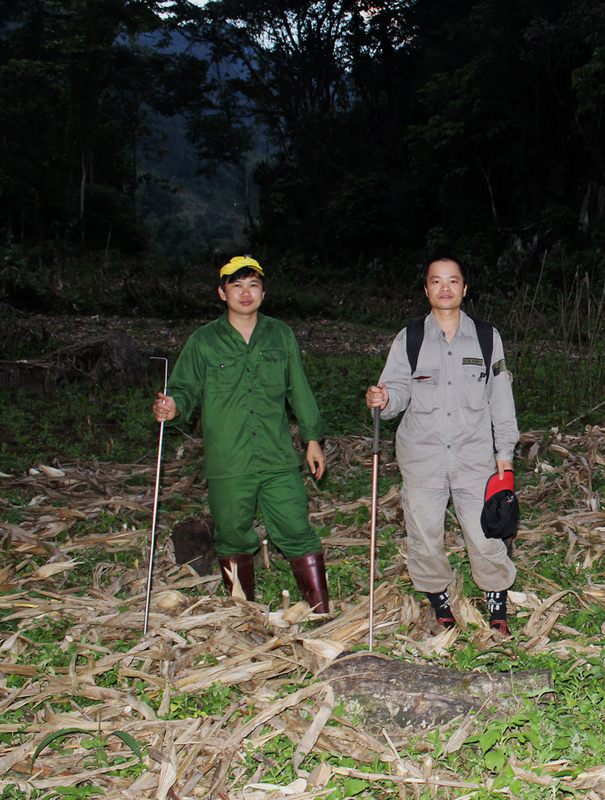 Dr. Nguyen Truong Son has made it his personal mission to expand knowledge of the Murina Genus of bats in both his home country of Vietnam and all of Southeast Asia. 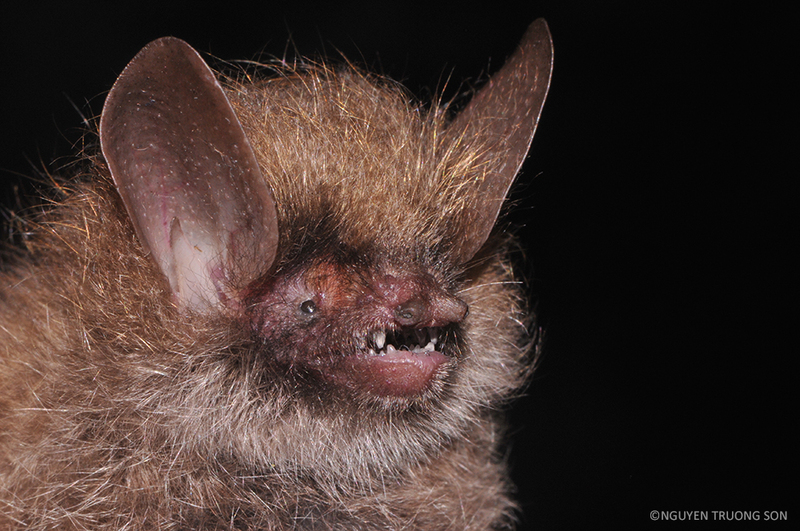 Although this bat probably won’t be competing in any beauty pageants, Dr. Nguyen stresses the importance that this species adds to an already highly diverse Genus. Habitat protection is key to the survival of bat species in the region because, according to Dr. Nguyen, each species of bat has adapted to very specific environmental conditions. Murina kontumensis has only been found in the adjacent area between primary and secondary forests in the Central Highlands, tying its fate to that of its home range. Discoveries like this help to clarify how the complex geography of countries like Vietnam can lead to such interesting biodiversity, especially when it comes to odd looking, furry bats! 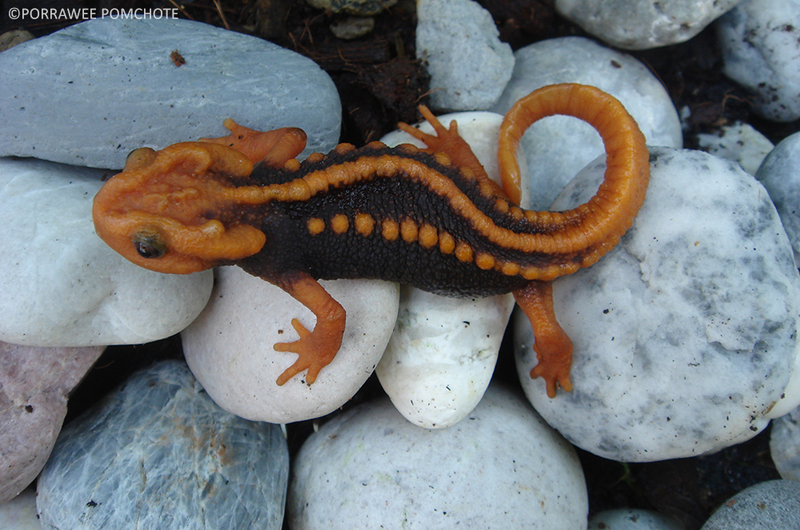 Knowing there were only three newt species known to exist in Thailand was what originally drew Dr. Porrawee Pomchote and his team to Chiang Rai province in the northeast of the country. 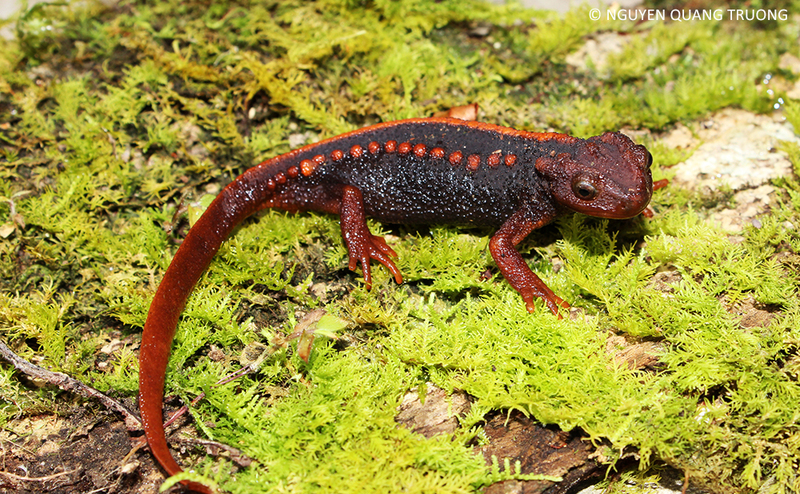 He began this research in 2007 and was only able to identify the subtle distinctions in taxonomy between the populations of newts in the regions after years of careful study, especially given the close proximity of their distributions. With its striking red and black markings contrasting dramatically with the green of the surrounding landscape, these newts add to the list of unique amphibians found in Thailand. However, amphibians are especially sensitive to pesticides given their porous skin. Pesticide use and deforestation make up the main threats to Tylototriton anguliceps, according to Dr. Pomchote. How many species have you been involved in discovering? Three genera, 80 new species, and one new subspecies. Did you always expect this to be a part of your career? When we do field research, we always expect to discover something new, but we didn't think that we would find such an amazing number of new species from the Lower Mekong Region, particularly in Vietnam and Laos. What is the most interesting new species you and your teams have discovered? Oreolalax sterlingae: Specimens of this species were found at 2900 meters above sea level, near the top of Fansipan Mountain in Vietnam, the highest peak in the Indochina region. 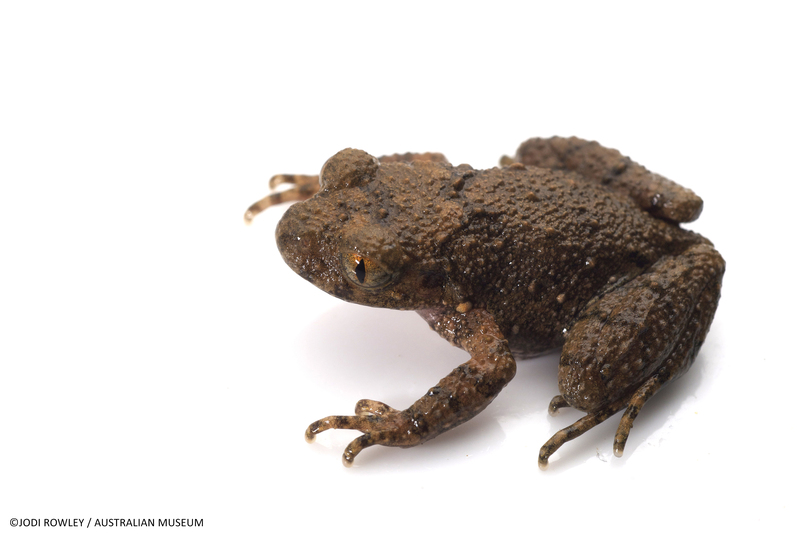 Hundreds of studies have been conducted in this mountain but we have never seen this kind of animal, a small toad with hidden tympanum (hearing structures), a dorsum (back) with spiny warts, and flanks with white spots. This is also the first record of this genus from Vietnam so I traveled to China to check museum collections in Kunming and Chengdu. What’s the strangest species discovery experience you’ve had? Describing species based off road-kill specimens, such as Fimbrios smithi from Ke Bang National Park in Phong Nha and Calamaria concolor from Bach Ma National Park in Central Vietnam. You might not expect there to be such a thing as a “Banana Unit,” but that’s exactly what Dr. Sasivimon Swangpol and her team at Mahidol University in Bangkok call themselves. When they received a picture of a mysterious new wild banana species spotted in Nan Province in Thailand, the Banana Unit jumped into action. 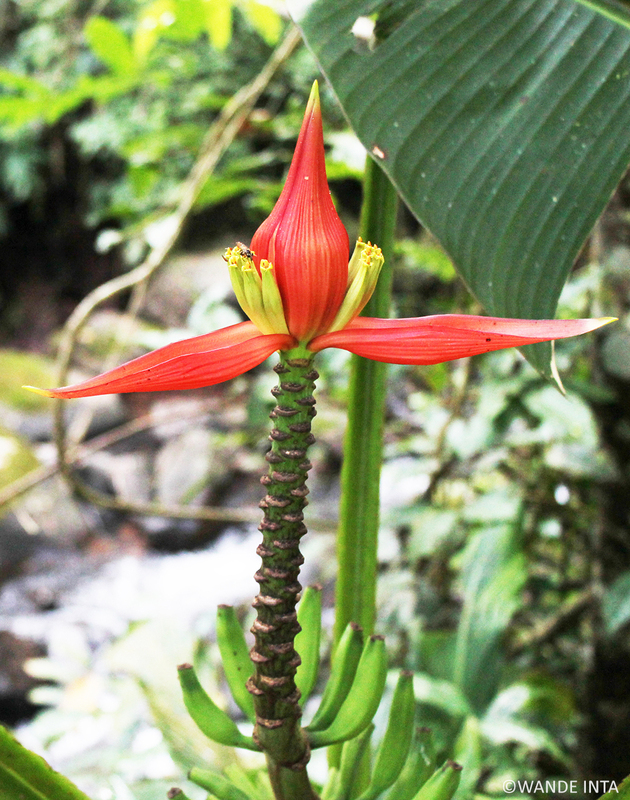 Hiding out of view of the main road, a bright red flower contrasting dramatically against the green of the surrounding jungle was spotted by the team. With several unique floral characteristics compared to other banana species, they knew this was something new. “I have been working on the diversity of the banana family (Musaceae) in Thailand for 15 years and the discovery of the unique structure of this species changed the description of the whole family,” says Dr. Swangpol. 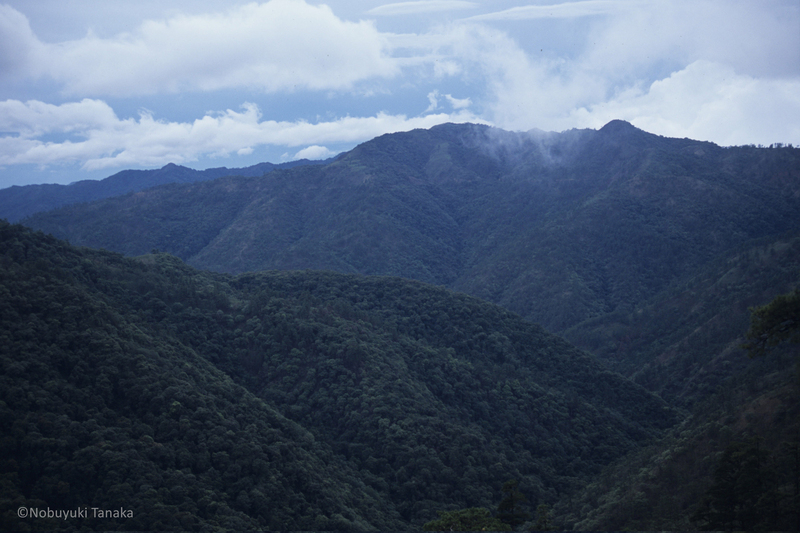 Unfortunately, the province where the individual plants were found has seen increasing deforestation in recent years. Because only a handful of individuals have been found in a few localities, the species is considered critically endangered by IUCN criteria. 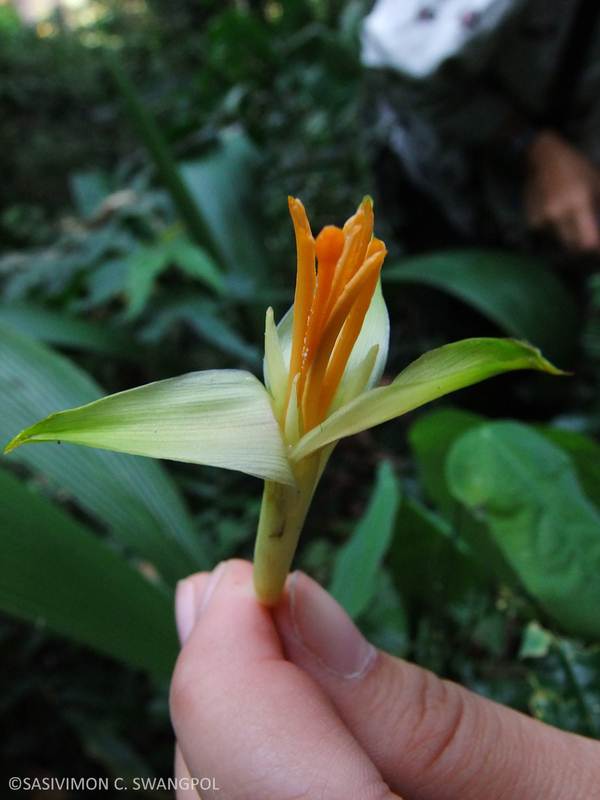 Dr. Swangpol and her colleagues named the banana Musa nanensis to mark the importance of the Nan Province as a home of the rare plant and the imperiled forest in which it lives. When it comes to amphibians, scientists rarely get to enjoy the moment of discovery of a new species immediately. That’s an understatement for Dr. Jodi Rowley and her team. The confirmation that they had indeed seen a new species took almost 10 years. 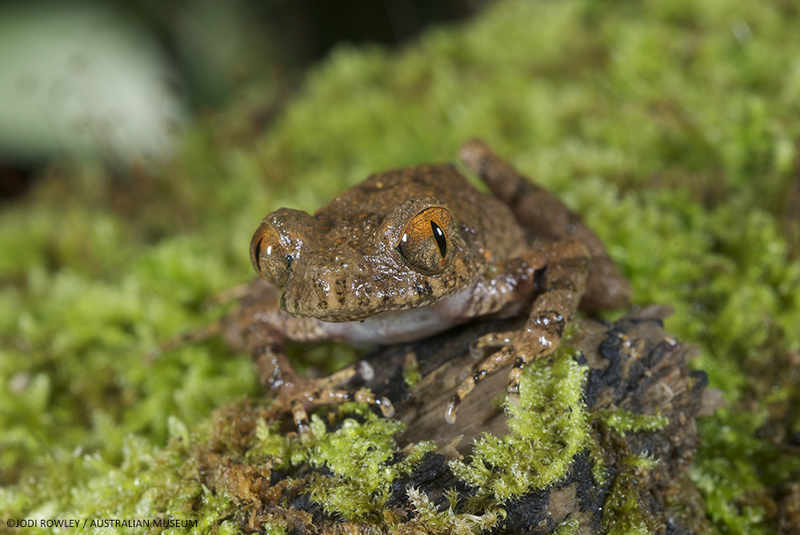 On her first scientific expedition to Southeast Asia, in Virachey National Park in Cambodia in 2006, Rowley spotted a tiny leaf-litter frog that she immediately thought could be a new species. However, it would take years of comparison and acoustic analysis to confirm her initial suspicions. “While there are certainly moments in the field when you know that you are the first scientist to have ever seen a frog -- and that is an amazing feeling -- in many cases it’s more a process of investigation, and the reward and species description comes many years down the track,” says Rowley. 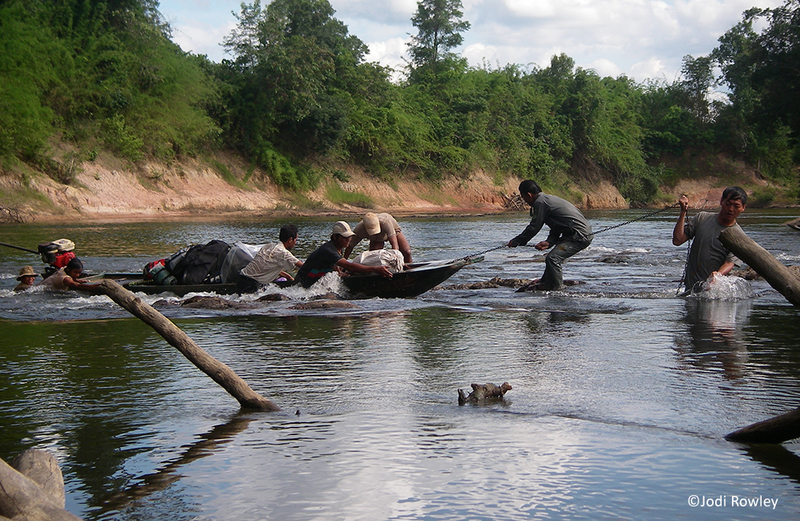 Searching for reptiles in the mountains of Laos is not always glamorous work. Bonkowski credits his colleagues Vinh Quang Luu, Prof. Thomas Ziegler, and Dr. Nguyen Quang Truong with operating under harsh conditions in remote terrain, where sometimes their only source of drinking water was found dripping off stalactites in caves, all in the hope of studying the incredible biodiversity of the region. The next step, says Dr. Nguyen Quang Truong, is to provide recommendations for new protected areas for species conservation and inclusion of the species on the IUCN red list and CITES appendix.26 These actions could lead to better habitat protection for this species as well as the many other endangered reptile species in Southeast Asia. Dr. Tanaka had originally been drawn to Mt. Victoria because there had been no botanical research there since Kingdon-Ward’s last survey in 1956.28 Kingdon-Ward’s explorations in Myanmar and the Himalayas in the early 20th Century led to many tales of adventure and new species discoveries29, but Impatiens kingdon-wardii is the most recent species to bear his name. 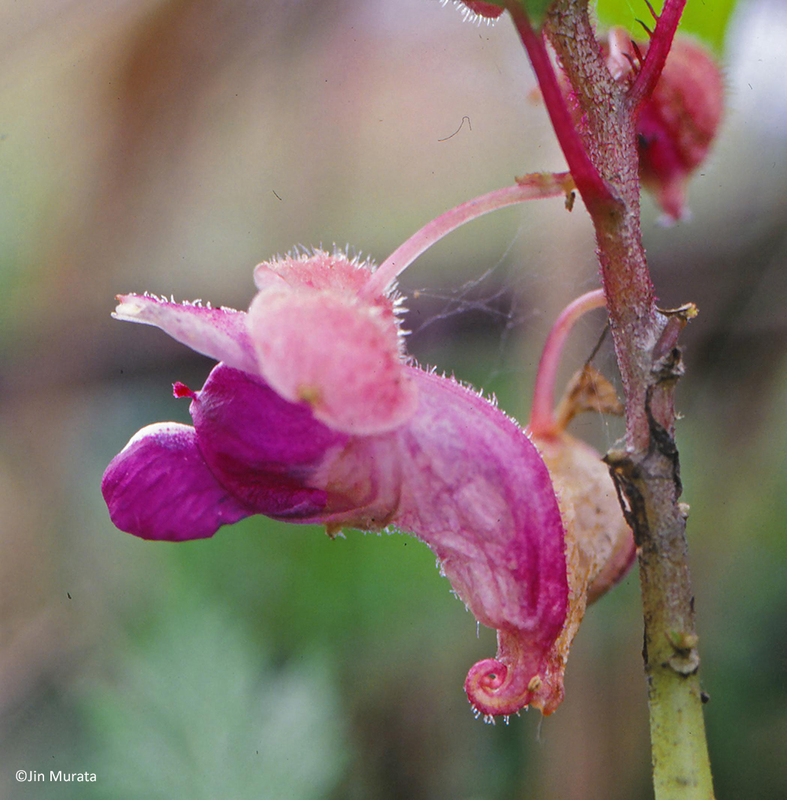 This little purple flower is another unique gem of the many endemic species within the Impatiens genus in Myanmar, but it is also a reminder that the age of exploration is far from over. Scientists like Dr. Tanaka are the new generation of explorers out to discover the unknown. The "Chin Hills" where Impatiens kingdon-wardii was discovered. As the scientists who made these discoveries note, the species were mostly found in remote, hard to reach locations, crawling through dense forests, hidden among dramatic mountains and cliffs, or swimming in free flowing rivers. Most importantly, they are immune to international borders. At the heart of WWF’s work in the Greater Mekong region is our protection of the large, transboundary landscapes that are home to these incredible species. Working across borders to protect the region’s forests, mountains, and rivers from development and destruction is critical to ensuring these plants and animals survive. A key to protecting these unique species is policy work at the national and regional level that reaches across borders to cooperatively save these unique species and ecosystems. WWF is working at all levels, from communities on the ground to businesses to governments and policy-makers, to ensure that we come together to find solutions to these globally significant problems and protect the Greater Mekong’s wildlife for generations to come. *Numbers do not add up to total number of species because some species distributions span multiple countries. 10. Teynié, A. Personal communication. 11. Teynié, A., P. David, A. Lottier, M. D. Le, N. Vidal & T. Q. Nguyen. 2015. “A new genus and species of xenodermatid snake (Squamata: Caenophidia: Xenodermatidae) from northern Lao People’s Democratic Republic.” Zootaxa, 3926 (4): 523-540. 12. Teynié, A. Personal communication. 13. Pauwels, O. S. G., M. Sumontha, K. Kunya, A. Nitikul, P. Samphanthamit, P. L. Wood, Jr. & L. L. Grismer. 2015. “Acanthosaura phuketensis (Squamata: Agamidae), a new long-horned tree agamid from southwestern Thailand.” Zootaxa, 4020 (3): 473-494. 14. Pauwels, O. Personal communication. 15. Nguyen, T. S., G. Csorba, V. T. Tu, V. D. Thong, Y. Wu, M. Harada, T. Oshida, H. Endo & M. Motokawa. 2015. “A new species of the genus Murina (Chiroptera: Vespertilionidae) from the Central Highlands of Vietnam with a review of the subfamily Murininae in Vietnam.” Acta Chiropterologica, 17(2): 201-232. 16. Nguyen, T. S. Personal communication. 17. Le, D. T., T. T. Nguyen, K. Nishikawa, S. L. H. Nguyen, A. V. Pham, M. Matsui, M. Bernardes & T. Q. Nguyen. 2015. “A new species of Tylototriton Anderson, 1871 (Amphibia: Salamandridae) from Northern Indochina.” Current Herpetology, 34(1): 38-50. 18. Pomchote, P. Personal communication. 19. Swangpol, S. C., P. Traiperm, J. Somana, N. Sukkaewmanee, P. Srisanga & P. Suksathan. 2015. “Musa nanensis, a New Banana (Musaceae) Species from Northern Thailand.” Systematic Botany, 40(2): 426-432. 20. Swangpol, S. C. Personal communication. 22. Rowley, J. J. L., B. L. Stuart, T. Neang, H. D. Hoang, V. Q. Dau, T. T. Nguyen & D. A. Emmett. 2015. “A new species of Leptolalax (Anura: Megophryidae) from Vietnam and Cambodia.” Zootaxa, 4039(3): 401-417. 23. Rowley J. Personal communication. 24. Luu, V. Q., T. Calame, T. Q. Nguyen, M. D. Le & T. Ziegler. 2015. “Morphological and molecular review of the Gekko diversity of Laos with descriptions of three new species.” Zootaxa, 3986(3): 279-306. 25. Bonkowski, M. Personal communication. 26. Nguyen, T. Q. Personal communication. 27. Tanaka, N., T. Sugawara, M. M. Aung & J. Murata. 2015. “Impatiens kingdon-wardii (Balsaminaceae), a new species from Mt. Victoria (Natma Taung), Myanmar.” Phytotaxa, 234(1): 90-94. 28. Tanaka, N. Personal communication. 33. Nguyen, Q. T. Personal communication. Report prepared and designed by Mallory Graves. Special thanks to Lee Poston, Jimmy Borah, Kelsey Hartman, Nina Wagner, and all the scientists who contributed to this report. Text © WWF 2016, all rights reserved.